Known as Site R, Raven Rock Mountain Complex is a deep underground facility approved for construction by President Harry S Truman in 1950. The plan was for it to be a relocation site for the Pentagon in times of national emergency. 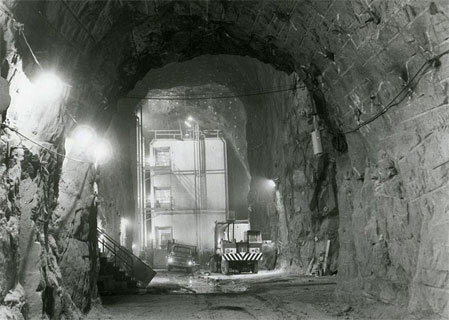 To build the site, they workers had to blast out one half a million cubic yards of greenstone granite rock. The super-hard granite was secretly blasted out and hauled away over a period of ten months, to build five separate three-story buildings deep inside the mountain located along the border between Pennsylvania and Maryland, in Adams County, Pennsylvania. It operates under a number of…almost code names, Site R, AJCC: Alternate Joint Communications Center, ANMCC: Alternate National Military Command Center, NMCC-R: National Military Command Center – Raven Rock, USAG-RR: U.S. Army Garrison – Raven Rock, the Underground Pentagon, the Little Pentagon, the Backup Pentagon, the Rock, and for the old-timers: Harry’s Hole. All are interesting nicknames, for sure. Once you are inside, you would not really know that you are underground, because, other than no outside windows, the buildings look like any other office building. 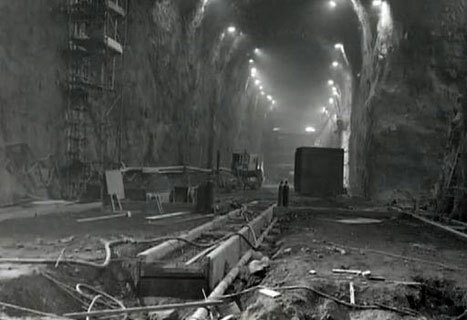 The underground complex has roads and perking areas that are big enough to accommodate trucks and buses. 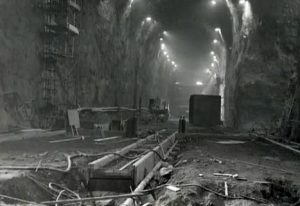 The facility is completely self-sufficient, boasting two power plants for electricity, multiple underground water reservoirs and a highly sophisticated ventilation system. It also has a medical and dental clinic, fire department, post office, dining facility, snack bar, dormitories, chapel, barbershop, fitness center, bowling alley, and even a Starbucks. It can accommodate 3,000 people in the event of an emergency, and can operate for at least 30 days in a “buttoned-up” position. Basically the facility is a small city. In the event of a war situation, the United States must be able to have a Continuity of Operations Plan (COOP) for the Office of the Secretary of Defense and the Joint Staff…basically a blueprint for how the government would re-position itself, if a major catastrophe strikes. Should the country find itself in such peril Senior leaders would be flown in by helicopter from the Pentagon and DOD emergency relocation teams all participate in real-life scenarios which test the alert and notification procedures along with the reception, staging, onward movement, and integration (RSOI) procedures. These include the COOP transportation plans, Site R hasty access procedures, and the integration of mission essential functions within the operating routine of the alternate site, the backup Pentagon. 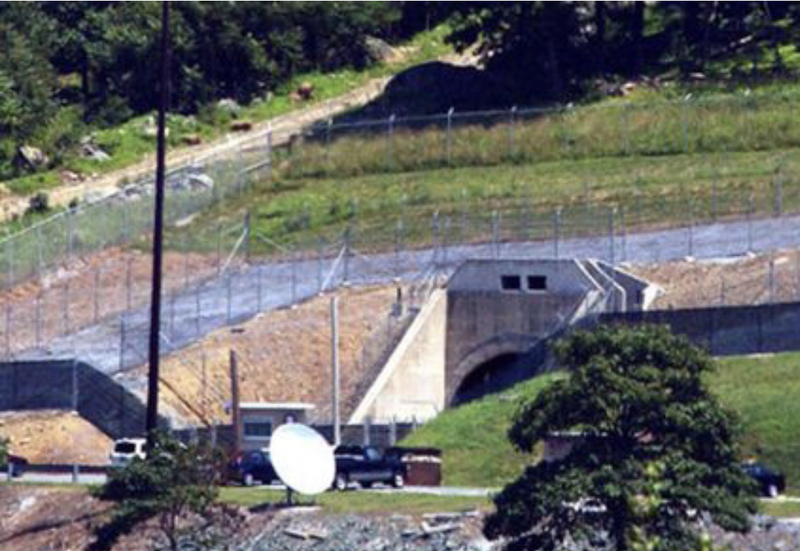 Defense communications and planning would allegedly be handled at the Raven Rock Mountain Complex, but the structure of such a strategy has been hotly debated. Some sites on the internet had posted a “virtual tour” of Site R, but it is not the real site, other than possibly the pictures of the original work being done. Sites like this, that have national security as their top priority, are not something that is usually open to the public for viewing.